1. What is a cordless drill / driver? 5.1. How much torque should a cordless drill / driver have? 5.2. Are there also cordless drill drivers without drilling or without screw function? 5.3. 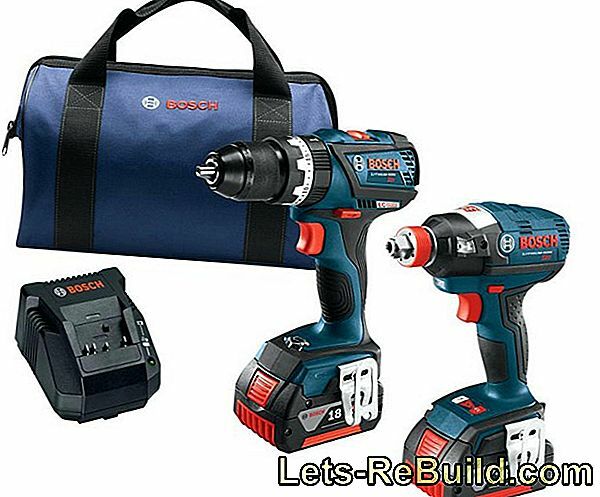 Does a good cordless drill / driver have to be from Bosch? 5.4. What does a cordless drill / screwdriver cost? The cordless drill combines two important home improvement tasks, drilling and screwing, in one device. 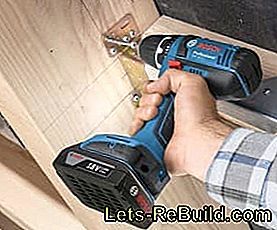 Thanks to the matching attachments, you can both drill a hole in the wall and, shortly thereafter, turn the corresponding screw into the dowel placed there. This means: no annoying change of equipment, no painful wrist after the fifth, manually screwed screw more. Particularly advantageous is the increased mobility thanks to the included batteries. On socket search and extension cable can be waived confidently. Simply pull the device out of the charging station and get started. If the work should take longer, it is also possible to pack a spare battery. 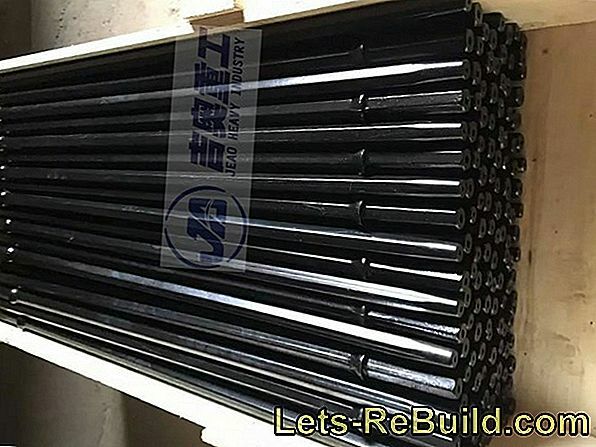 For very hard walls, it may be necessary to use a percussion drill, or even a hammer drill, which, in addition to turning the drill, applies continuous blows to make the material crumbly. The reasons for buying a cordless drill can be varied. Perhaps the faithful, old drill has finally given up the ghost and should be replaced by a more practical device. Maybe the offspring will (finally) pull out and should be equipped with basic tools for home improvement. Or it was just time to make tabula rasa in the tool cabinet and get a shiny, new machine that's a true all-rounder. With the cordless drill you decide on one solid device that performs two important steps: drilling and screwing. 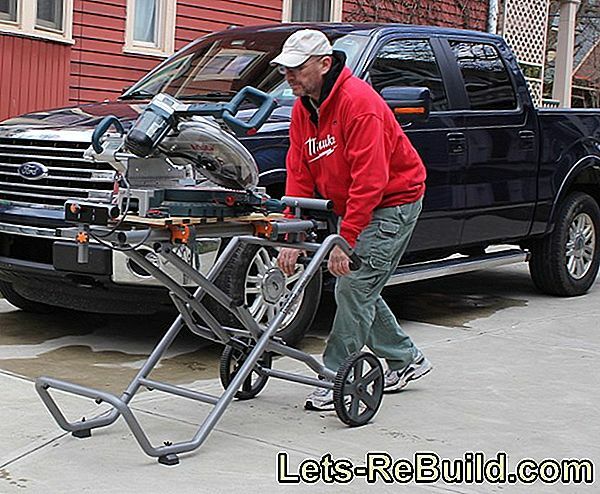 The drill is standard equipment of every handyman. Whether tall cabinets should be fixed in the kitchen, mirrors mounted in the hallway, shower curtains installed in the bathroom or the teddy bear lamp should be hung in the nursery - nothing works without a drill. Of course, it is possible to turn each screw of the new IKEA shelf by hand, but it certainly will not thank you for the wrist. Drilling is child's play with the right bit. The simplest way to understand how a cordless drill / screwdriver works is to look at a picture from the table first. You can easily see the handle in the middle of the device. At the foot of the battery is attached. With this you place the device in the charging station in order to make it ready for the next order. Now it gets interesting: At the top is the so-called chuck. There, as required, twist drills or bits are inserted. Drill bits are needed to drill holes in walls, wooden beams and more. 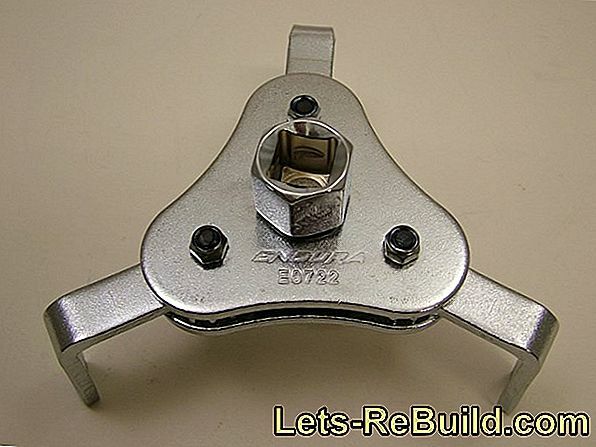 The bits are meant to tighten or loosen screws. 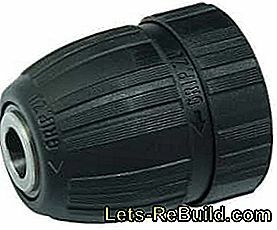 The keyless chuck facilitates the insertion of bits and drills considerably. The scope of delivery already includes a few bits and drills which are sufficient for the most common purposes. With the bits you can tackle the usual slot and Phillips screws. 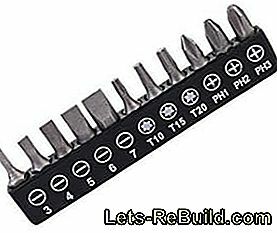 Under certain circumstances, which are included for the Torx profile. The drills also have different diameters so that you can create the right home in the wall for every dowel. 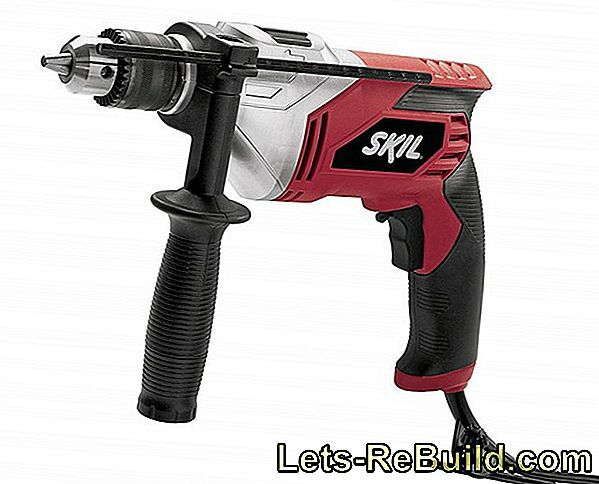 Modern cordless drill drivers have a so-called keyless (sometimes called Keyless chuck abbreviated). In this drilling and screw attachments are particularly easy to plug, You hear a click that the bit is locked. Some of the most common screw profiles are made tangible by such bits. The engine of the cordless drill has plenty of power. When screwing in a screw, you should therefore go in time from the "accelerator pedal" or release the button, Otherwise, the screw would be inadvertently drilled so hard into the hole provided that the material is damaged - or of course the screw head itself. In the worst case, even the bit could be damaged and ultimately replaced. To prevent this problem, cordless drill drivers have a so-called slip clutch, With her, the maximum torque is set, so to speak, a "force limit", from which the engine automatically stops the work. 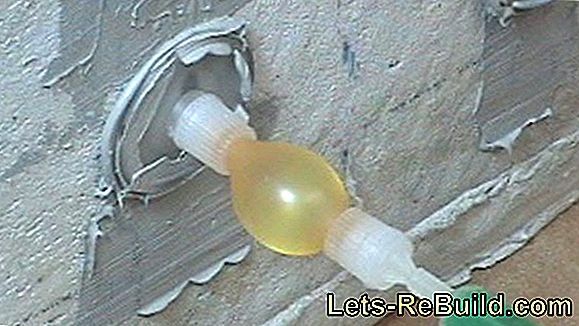 If you now turn a screw into the wall and it is stuck after a certain time, the slip clutch notes that the force would be too high from now on. It automatically disconnects the motor from the work spindle and thus the bit, The motor then continues to rotate as long as you hold down the drive button, but the rotational movement goes nowhere. The screw will not move further. This fuse is particularly useful if you want to tighten several screws. Thanks to the friction clutch, all are stuck at the end, because the engine always disengages at the same time. The biggest advantage of the battery is that it is independent of the mains when it is charged. Even in the garden can be done comfortably and free of extension cable many work. The quality of the battery determines how long it is possible to work autonomously. If you have a strong battery, you can easily fix a few hundred screws, but with a weak battery the next gear to the charging station is always in sight. The relevant factor here is above all how much the drill is stressed. If you need a lot of energy to drill wide holes in the hard wall, that's the battery empty faster than when loosening a few small screws. 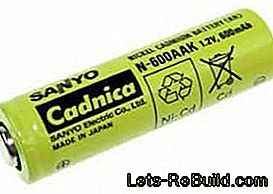 A nickel-cadmium battery in AA format. Easy to recognize: the recycling symbol. The Nickel-cadmium battery (also abbreviated as NiCd rechargeable battery) contains the classic material, which used to be found in household batteries. 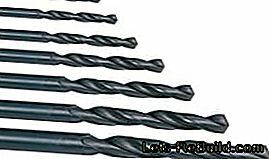 They provide a comparatively high voltage and are therefore very popular with drills and similar devices. Much newer and also very powerful is the Lithium-ion battery (sometimes called Li-ion battery, lithium battery or similar). They are not poisonous, but they are more sensitive, for example, to electrical overloading. Cadmium is highly toxic. For the consumer, the battery is still safe, since the substance can not escape to the outside. Batteries must always be connected to the appropriate Recycling stations be delivered. Under no circumstances should they be disposed of with household waste. The battery material alone does not tell you how high the battery is. Pay attention to the battery capacity specified by the manufacturer, This is measured in ampere-hours (Ah). The more ampere-hours the battery has, the "bigger" it is. If the screws do not end: the second battery. 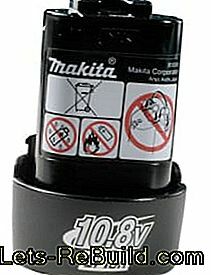 Here is a model of the manufacturer Makita. However, it should not be forgotten that one special strong drill also needs more power accordingly, It is therefore often the case that a manufacturer of a strong drill also uses a correspondingly strong rechargeable battery (with many ampere hours) and the manufacturer of a frugal product uses only a small rechargeable battery (with a few ampere hours). The two batteries last but still the same length. Comparable would be that with a large tank for a Mercedes and a small tank for a Fiat, both of which have to go to the same time a gas station. Nevertheless, a larger tank is basically better. 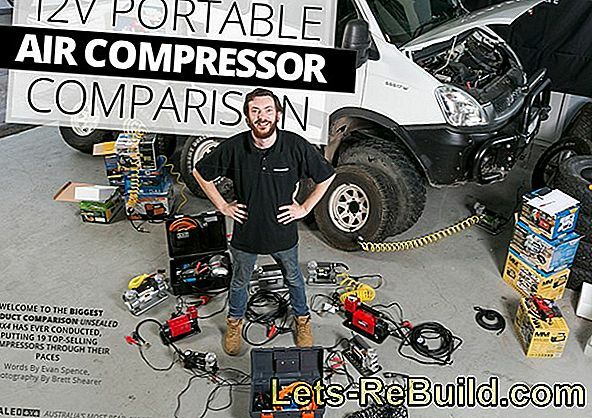 If a battery is included in the scope of delivery, you can easily see our cordless drill / screwdriver comparison. For machines that do not have it, he may be able to reorder. Consumers can usually start more with the kilowatt-hour unit. 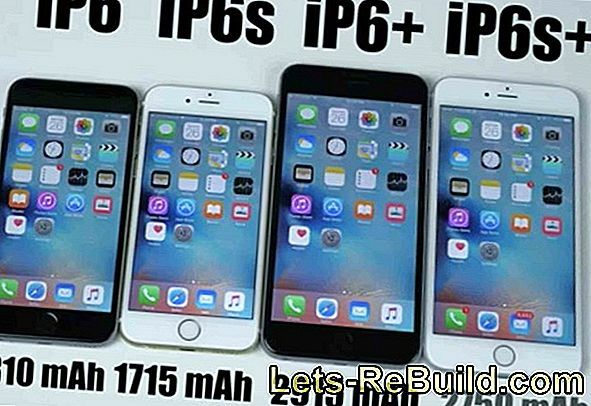 We will gladly give you the formula for the conversion, so that you can easily calculate for yourself how much juice is in your battery: Multiply the ampere-hour of the battery by the voltage of the device. 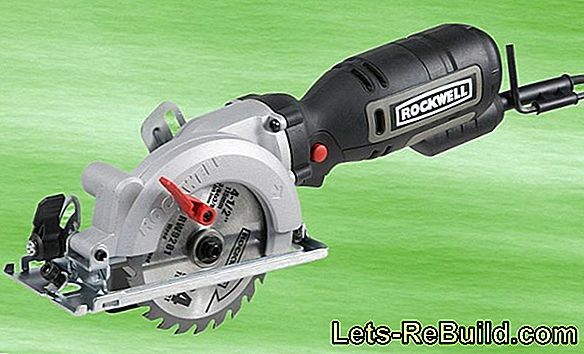 For an 18 volt drill with a 1.5 Ah battery, this would be (18 x 1.5 =) 27 watt hours (Wh). Divided by a thousand, this results in the kilowatt hours, in this case 0.027 kWh. The best cordless drill you need is not necessarily the strongest or even the most expensive. Of course, there are major differences between our cordless drill and the Aldi model, but so you know which criteria you should pay attention to, we have in our buying guide briefly summarized some quality characteristics. The idling speed indicates how many rotations the chuck can handle per minute. The speed is always measured at idle, so that the values ​​of the various tools are comparable. To tighten a screw, the smaller gear is sufficient. For the screws no high speed is needed. Therefore, drills have almost always two gears, If you want to screw, an idle speed of about 600 U / min is enough and thus the little gear completely. Even when drilling in wood, a low speed can make sense, otherwise the material could heat up too much. If, however, with the drill attachment on the wall, a high speed is usually better, A good machine can handle up to 1,300 revolutions per minute. When drilling in wood, take a break if the drill gets too warm. 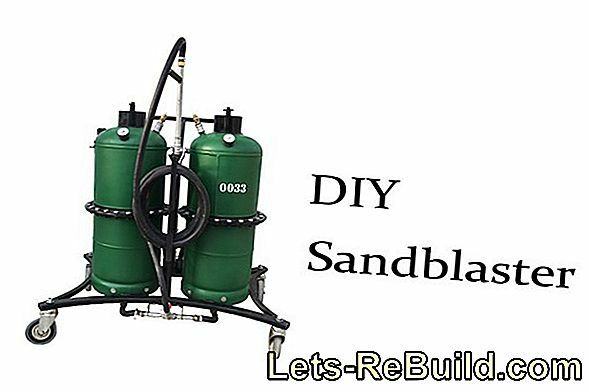 Drill small holes in concrete with high and large holes in low speed concrete. For stone, fall back on a percussion drill or hammer drill. Carefully drill on tiles until the glaze has broken through. The torque describes how much "force" the machine can apply. This is measured in units of Newton meters (Nm). The more Nm the drill has, the harder the material can break. Cheap cordless drill / drivers have around 20 Nm, higher quality devices like 45-50 Nm. For even more power you need an impact wrench, which usually has 150-200 Nm. This factor is underestimated by many users. You keep a drill screw in your hand for a long time. To make matters worse, that the arms are even more noticeable when the arms are stretched out. If you stand for hours on a ladder and drill holes in the wall at high altitude, your arms will soon be long. The difference between a 1 kg drill and a 1.3 kg drill is crucial. Whether you like word jokes or not, do not lose weight. In addition, many cordless drill drivers have a working light, with which the point to be worked on the wall or in the wooden beams is directly illuminated. This is of course more practical than clamping a flashlight between your teeth and lighting it up. Especially in dusty environment or if the work goes into the evening hours, this small lamp can be a real relief. percussion drill Significantly more power than the driller brings the percussion drill. Thanks to a special construction inside, the machine moves back every turn and then beats forward. The force is transferred to the chuck and then the drill. Due to the high speed, the user perceives this process as vibration. Bricks and lightweight concrete, the percussion drill can easily penetrate. Rotary Hammer A very hardened is the hammer drill. 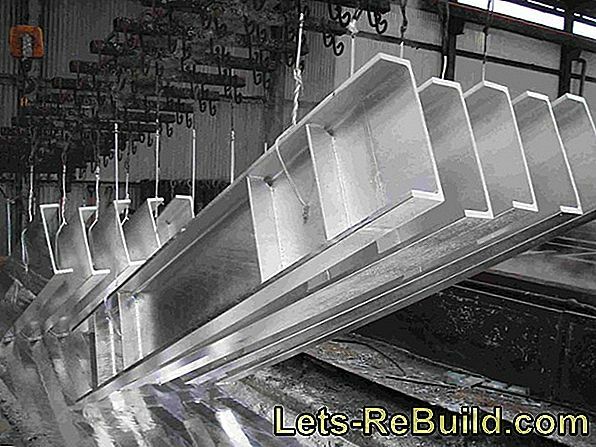 With it you can also approach stone or hard concrete types. Unlike the impact drill, the impact pulse is generated in a separate impact mechanism. Commonly used are spring tappets and pneumatic impact devices. Rotary hammers are also used in mining applications. Both device types are available either with a cable and plug for connection to the mains or as a cordless drill. By the way, if you are not looking for stronger, but weaker devices, you can also take a look at the cordless screwdrivers. 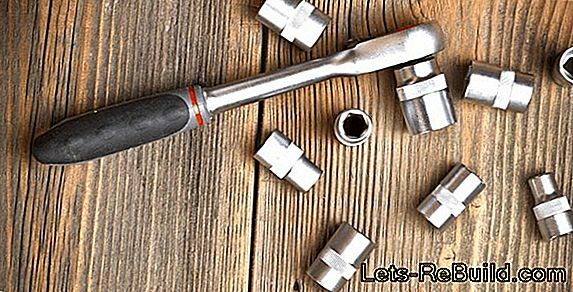 Unlike the cordless drills presented here, while cordless screwdrivers can not create holes in the wall, they are all the better for turning screws. And they are even easier. If one or the other question about the Cordless Drill Comparison 2018 has not been clarified in the article, you may find it here. It all depends on what you want to use the device for. If it is all about drilling into soft materials such as wood, 20 Nm is absolutely sufficient. On the other hand, if you want to decorate the wall of your apartment with holes, we recommend 50 Nm. Yes. Cordless screwdrivers, including the handy mini screwdrivers, are too weak to drill, but install a few pieces of furniture quickly. However, cordless drills always come with a screw functionbecause they have a strong engine anyway. Of course, this is not necessarily necessary. 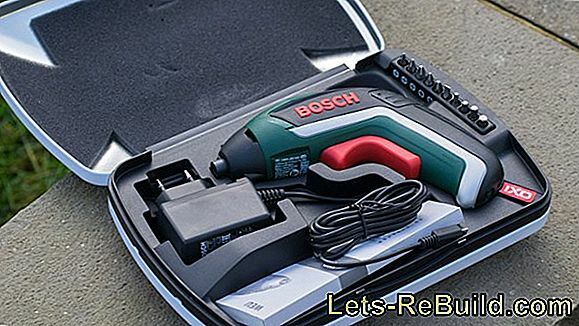 Bosch cordless screwdrivers for professional and amateur work, for example from the GSR Professional series, enjoy great popularity due to their high quality, but have to contend with a lot of high-quality competition in the market. In the Cordless Drill Test, you can easily compare the brands. That depends on the quality. Cheap devices are already available for just under $ 50, yet for a reasonable device you should plan 100 to 150 ¬. 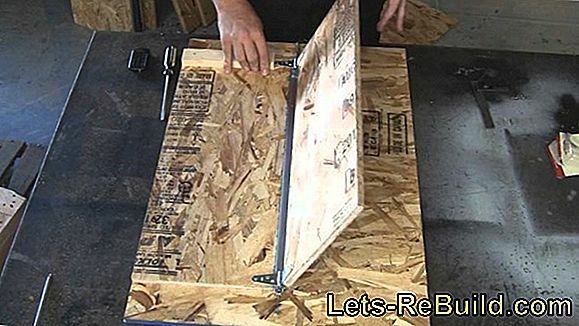 ➤ current laminate cutter comparison 2018 on lets-rebuild.com. 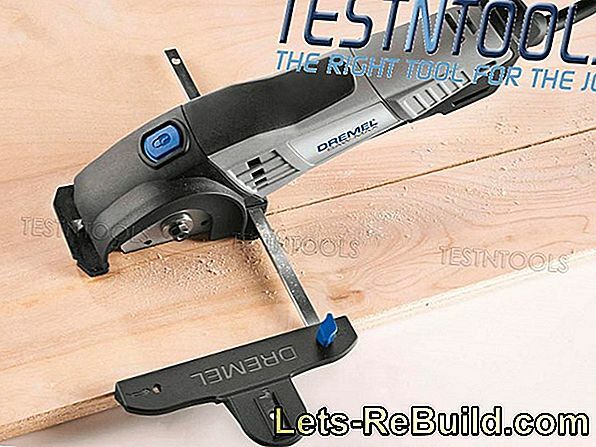 Compare now and order top laminate cutters at a low price! Hand saw in test: the dsm20 is smaller than any flex and works that way. Cutting discs should replace the saw blade. We have tested. Rotary hammers are available in many sizes and price ranges. We compare the best rotary hammers. A jackhammer is a tool for roughing. But how does he actually work? And is he also suitable for home improvement? We give answers.